Edited by thegreat101, Mar 21 2019 - 04:04. It is simple math my guy. Just take the "total xp needed for the tank - the amount you have on the previous tank and get your number". I agree with you that it was easier when it showed xp needed, but it is not hard to figure it out. Edited by thegreat101, Mar 21 2019 - 04:43. Also it was there in the first Place, i dont understand why is was removed, it makes sence if they just "forgot" about it, but whats the harm in me asking for it back? Also, it was there in the first Place, I don't understand why it was removed, it makes sense if they just "forgot" about it, but what's the harm in me asking for it back? problem solved, no math involved ! Cripes why are you people such the southern end of a north bound horse. The OP made a point that there was a feature that was prior to 1.4.1 update that made gaming that much more simpler. It is a feature that is absent. If one is grinding, taking a moment to fiddle around for a calculator or abacus kinda breaks the mind set for a moment. Granted one should get up every hour or so walk around take a break. Losing a leg do to a blood clot from playing a video game is sad. I would suggest that they feature has been removed as it conflicts with the blueprint concept. I am thinking that it is too problematical to have XP needed when there are blueprints that can be a confounding influence. Hmm, interesting. Not sure if this was intentional, I'll add it to the 1.4.1 feedback report I'm currently working on. 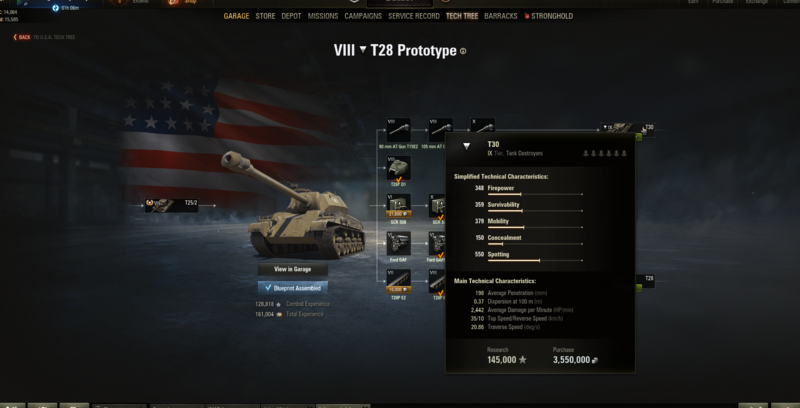 Theoretically you can still see how much XP you have left before being able to research a new tank, but that's only if you're on the last leg of your grind and having the preceding modules unlocked. If you do, you can click the 'research' button on the next tank and a pop-up will show up telling you how much XP vs Free XP you will be using. Conversely, if you don't have free XP available I'm not sure if it's possible at all. I can promise you this, though: It's going in the feedback report as a potential bug! I'll say this, it's a sad day when people have two 6 digit numbers side by side and can't deduce the difference between them in at most a second or two. That is like 3rd grade math level there. Don't need pencil, pad nor paper as Richard Pryor used to say. Or the use of punctuation my dude. Did you see it yet. Should only take you a couple of seconds. Oh hail almighty math God. You'll be surprised at general population's math skills. They are better in other things though, which makes up for it I guess..
+1 This is the way i've done it and i didn't even remember that other way the other way sounds like it works better though if it tells you how much XP is needed, the way i do it you have to have the modules researched and then you click research on the next tank and it says how much free XP you'd use but it doesn't work if you don't have a lot of free Xp cause then it asks you to convert an amount of gold to needed free Xp and at that point there's numbers and you have to calculate etc..